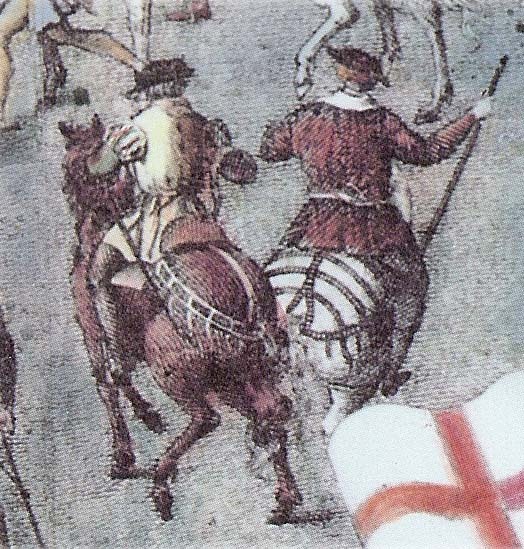 Types of horses in Tudor England. Domesticated animals, such as horses and dogs, were selectively bred so that they could better fulfill the tasks they were to perform, not to look like a certain breed. The concept of a "breed of horse" would often be less important than the "type of horse." Therefore, I will use Types of Horses and not Breeds of Horses below. This list refers to horses that were often ridden -- not those used by merchants and farmers. 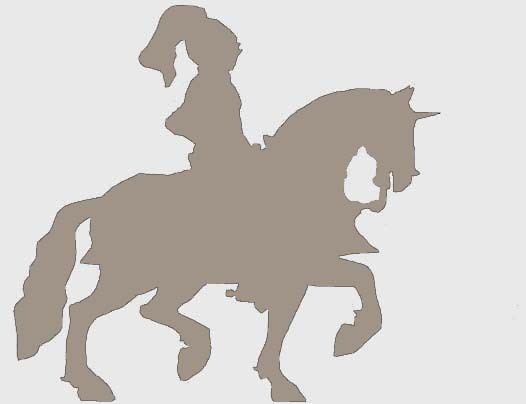 Ginete or Jennet was a popular type of horse used for everyday riding. These horses were praised for their good looks, comfortable gaits, and speed. They are thought to been brought to England from Spain. Courser was a powerful and swift horse. They were ridden in jousting tournaments and in war. A note about all the images below from the Cowdray engraving showing the Encampment of the English near Portsmouth, July 19, 1545: The engraving is done as a "copy" of a tapestry that was destroyed in a fire. An engraving is a black and white line drawing, and people color it in later. As a result, the colors that you see in one version maybe different than the colors in another version. Neither one is right or wrong, historically. We cannot be sure of the correct colors. Hobby was a type of small horse that was praised for its smooth, ambling gait. They are often referred to as Irish Hobbies so they probably originated there. 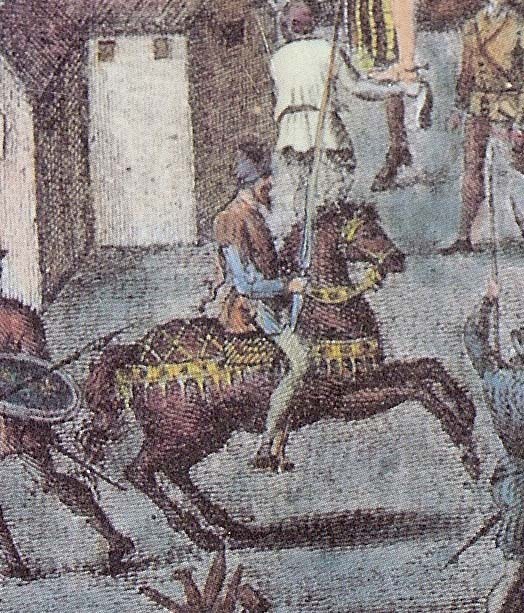 Destrier or Destrer was a heavy horse favored by armored knights for battle and by riders in jousts when they wanted a bulky horse. 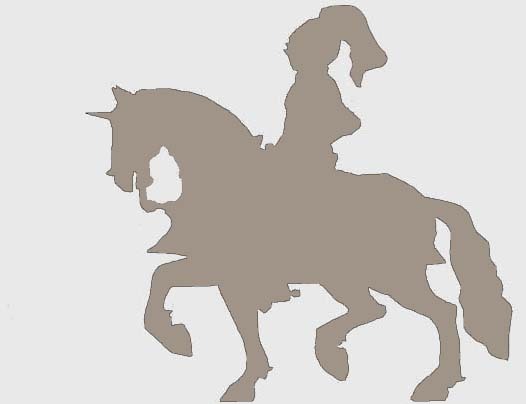 ​Palfrey was a light, well moving horse that may have ambled. Although the palfrey was ridden by both men and women, there are many written references that note a woman was riding a palfrey. 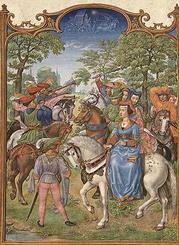 A miniature painting showing a lady riding sidesaddle by Gerard Horenbout (c. 1465 – 1541). He was a Flemish painter who did visit Henry VIII's court briefly. What type of horse do you think she is on? It could be a palfrey or a jennet or, less likely, a courser.